Despicable Me Edition Game Just $7.50! Down From $40! You are here: Home / Great Deals / Amazon Deals / Despicable Me Edition Game Just $7.50! Down From $40! This Despicable Me Edition Game is now offered at Amazon for just $7.50 down from $39.99! Please note that this is an add-on item and will ship with a qualifying order of $25. 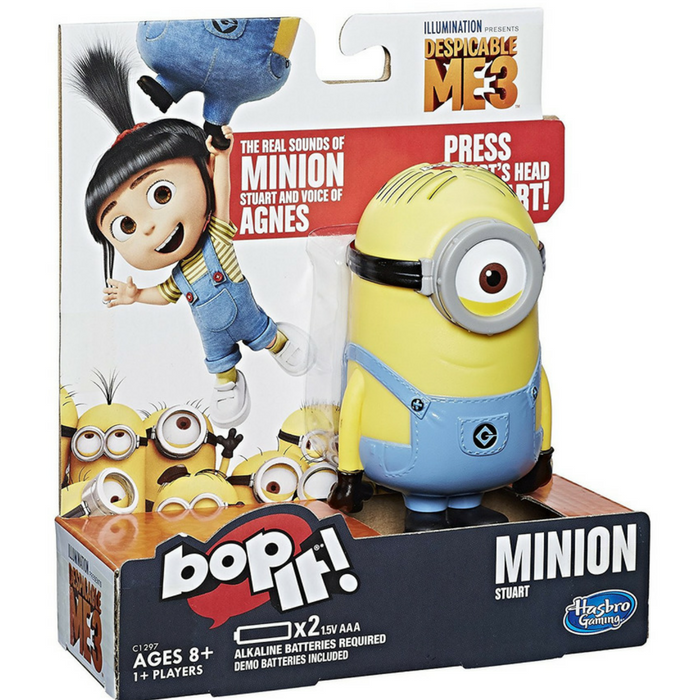 Bop, twist and pull your way into lots of fun with the Despicable Me edition of the Bop It! game from Hasbro. Can the players keep up with Minion Stuart and Agnes as they shout out commands? In this popular game with a Despicable Me 3 movie twist, your family and friends are challenged to follow along as the commands are called out, but don’t mess up or it’s time to pass! Excellent as a family game for game night, or kids can play in solo mode to challenge themselves to beat their own personal best. The excitement keeps going with this fast-paced game! Keep up – Can you keep up with Minion Stuart and follow the voice commands until it’s time to pass? Includes game unit and instructions inside the package. 2 x 1.5V AAA Alkaline Batteries Required. Demo batteries included.